Do you have questions about your Temple Terrace DUI charge? At Finebloom, Haenel and Higgins, our Temple Terrace dui lawyers are the authority on dui defense. Our dedicated team of professional dui defense attorneys are ready and willing to fight for you! When you are arrested for dui in Temple Terrace, or any of the surrounding areas, the penalties start the moment you are arrested. As soon as you are placed in handcuffs the dui officer will take away your driver’s license. If you participate in taking the breath test, and blow over a .08, your license is automatically suspended for at least six months. If you refuse to take the breath test then your license is suspended for at least one year! These harsh dui penalties start before you are ever convicted of a crime!! Unless you speak with a qualified dui lawyer, Temple Terrace arrestees will only suffer more!! Although not mandatory, the judge can order that you spend up to six months in the county jail!! If you blew over a .15 then the fine is increased to $1000 and you can be sentenced to up to nine months in jail! These are the penalties for a first offense!! If you have more than one DUI the sanctions only increase. For a second dui, the judge can sentence you to nine months in jail, one year if the blow was over .15. If it is your second DUI within a five year period you have to serve at least 10 days in jail and your license will be suspended for five years!! If it is a third dui you can face one year in jail, unless your last dui conviction was less than ten years ago. If that is the case then your dui is a felony and you must serve at least one month in the county jail. But you could be sentenced to up to five years in prison!! In addition a conviction for a third dui within a ten year period will result in a ten year license suspension!! A fourth DUI is a third degree felony. You can be sentenced to five years in prison and your license will be permanently revoked! As you can see, your Temple Terrace dui arrest is no light matter. You need a dui attorney who is proficient in dui law and practiced in dui procedure. At the law office of Finebloom, Haenel & Higgins our professional dui lawyers in Temple Terrace will fight your case for you! There may be defenses available to you in your case that will only be discovered through serious investigation by experienced dui attorneys. At Finebloom, Haenel & Higgins, our firm consists of the most qualified and dedicated dui lawyers. Temple Terrace clients receive personalized care from a team of dui defense attorneys holding over 30 years of combined experience. Our dui defense team will represent you in all aspects of your case including bond and administrative hearings. We will investigate your case and file the necessary motions in order to place you in the best position possible for trial. Our dui attorneys are not afraid to challenge all the aspects of your case from arrest, to breath test, to trial. Over the years our firm has represented hundreds of Dui clients. There is no defense we have not explored. So if you are searching for a dui attorney in Temple Terrace to answer your questions about your dui arrest, call Finebloom, Haenel & Higgins today at 813-200-4412. 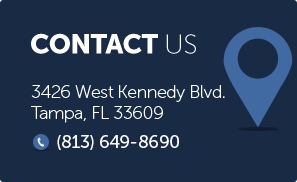 Our attorneys are located locally and are available 24/7 to discuss your options with you. Let us help you fight your case today!